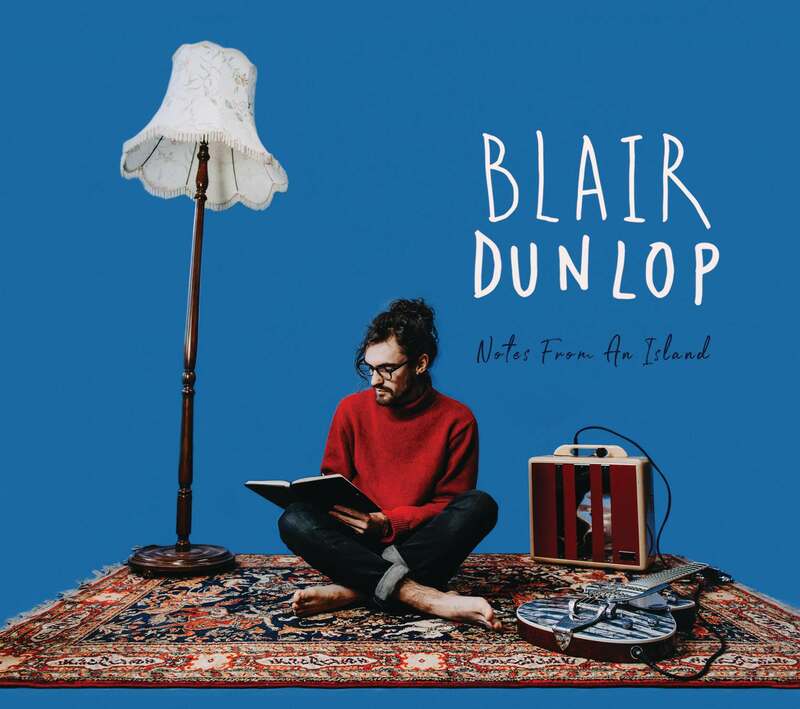 On the eve of his sophomore Australian tour dates Blair Dunlop is set to release his fourth studio album ‘Notes From An Island’. Described as his heartbreak album exploring the parallels of personal solitude and national isolationism. The award-winning British singer, songwriter and guitarist draws talents from his rich folk heritage (son of folk-rock musician Ashley Hutchings, formerly a member of Fairport Convention) while developing his own guitar driven modern folk style. This album comes as a result of collaborations with Ed Harcourt (Mercury Award Nominee 2001, producer for Sophie Ellis Bextor, Marianne Faithfull), Dave Burn (ahab), Gita Langley (Dirty Pretty Strings, Lock) and Brooke Sharkey. After a challenging personal time of the break-up of a relationship, Blair sets the album in the context of political isolation and a pre- Brexit Britain, reflecting on the irrelevance of borders in an interactive and socially amorphous world. This is Blair’s most mature work to date; skilfully acknowledging his folk roots and heritage but also creating sharp edged songs. With a bold march and harmonic guitar fanfare the album begins with Spices From The East, a skilful examination of the transient nature of food in a borderless world reflecting its passage over time and cultures irrespective of political influence. Blair is joined on this track by long time band mates Fred Claridge and Jacob Stoney (who feature throughout the record) and also Tom Moore and Archie Moss on Melodeon and Fiddle. Feng Shui then examines the moving of furniture around a home to improve a relationship that is destined to fail. Sweet On You a classic love song, boy meets girl with a twist. Other highlights include Green Liquor that examines a London where properties sit empty alongside the homeless, Wed To Arms; a throw back to folk rock influences and mid Fairport Convention sounds that becomes the lyrical corner pin of the album by developing themes of political and emotional isolation. This is a bold album, a contextually solid work that sets Blair Dunlop firmly in the seat of modern British songwriters. Blair Dunlop is a captivating vocalist, phenomenal guitarist and writer of songs of the deepest lyrical and musical maturity. He scooped the prestigious Horizon Award at the 2013 BBC Radio 2 Folk Awards. Richard Thompson was so impressed with Dunlop that he gave him a previously unrecorded composition – Seven Brothers – for inclusion on his debut. Blair will be performing a headline show in Sydney and will feature at this years Blue Mountains Music Festival. Blair will also perform at MODERN FOLK! FROM THE UK at the Thornbury Theatre Melbourne with fellow UK artists Josienne Clarke & Ben Walker direct from their performance at Port Fairy Folk Festival.